UCO bank provides facility to transfer money online in easy steps. For online money transfer through the UCO bank, first we need to add the Payee/beneficiary in our account using UCO bank website. 1. Login to Personal Banking section of UCO bank website using your login credentials. 2. Now click on "Fund Transfer" link available on the top. 3. 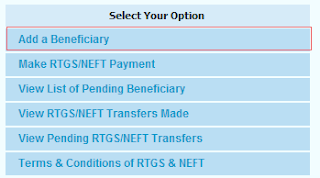 Click on "RTGS/NEFT Fund Transfer" link available on the left side. 4. Now click on "Add a Beneficiary" link. Enter the Beneficiary Name that is available in bank records. Enter the Beneficiary Nick name for your reference. Enter the branch IFSC Code or Branch Name and click on "Get Branch" button.Next screen comes now select your branch and click on OK button. Enter the Beneficiary Account number and click on "Confirm Account" button. Now enter the account number again for re-confirmation. 6. Next screen will be displayed. Now confirm the all entered details and select the checkbox "I have read..." and click on "Authorise pay now" button. 7. Now UCO bank will send an OAC code via SMS or email to you. Enter this code in below screen and click on "OK" button. Using the same approach as mentioned above. same query.... no option is given for the i suppose...? Is their option to transfer money to another account holder of uco bank? Your process is correct for transfer of money from UCO to other bank. But the process of transfer of money from UCO bank to other friend UCO bank a/c this process is not valid. You can transfer mney from one UCO Bank account to another UCO Bank account using UCO bank mBanking application. i cant find HDFC0003782 in the list of selectable branches. Most of HDFC branches are missing in the list. What kind of madness is this? Try again to find this, You can also try using State/City/Branch name..
As I have verified through http://goinfo.in/Home/BankSearch this is a valid bank branch of HDFC Bank. i know only union bank a/c number. so, how i can add benificary in uco ebanking ? You need to find IFSC code of the bank branch using http://goinfo.in/Home/BankSearch. 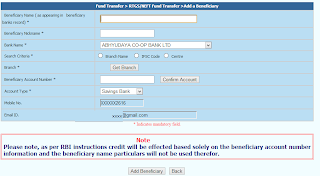 How to transfer money from uco bank to uco bank as uco bank is not listed in bank name under add beneficiary. Beneficiary is where you want to transfer the money. Like- If you are transferring money from your accunt to your friend's account then if your account is source while your friend is Beneficiary. 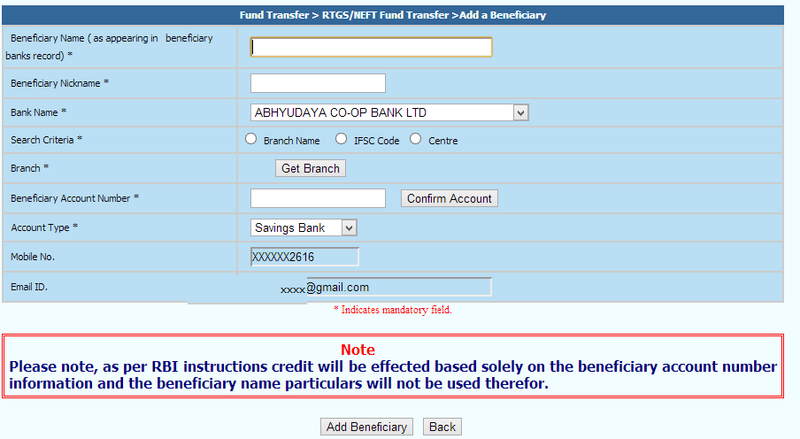 So, Add your friend's account as beneficiary to transfer the fund. What is beneficiary.. Why it is required.. In app..plss explain.. Im new to digital pament.. I cant find SBIN0050826 in the list of selectable branches. This is a new branch of SBI at Aliganj, Lucknow. This is a valid bank branch - ttp://goinfo.in/BranchDetails/HDFC0003782, You should be able to find this. In future you can use GoInfo.in to find the correct bank branch. Fund Transfer--> Third Party Transfer then in the screen you will find "Add New Payee" take the mouse over "Add New Payee" and click......... it will open a screen where you find the field A/c.........after you add the other branch UCO account number and click on search. Rest of the details was filled automatically. In this way you can able to add uco bank to uco bank.